I had been reading lately about him re:the SafeSport investigation, sad that this happened. Condolences to his family and everyone who loved him, everyone who cherished his skating and his life. I hope investigation will go on regardless though, all parts deserve it. GUYS I KNOW THIS IS OT, PLEASE TELL ME IF I HAVE TO DELETE IT. TSL's twitter and YT have been deleted. Some said it's because of the Coughlin issue. He apparently received death threats. Edit: He indeed received death threats accdg to the the other guy named J*nathan. That's unfortunate. No one should be getting death threats. Gotta give credit where credit's due. I think I was right for Dave to report there's a safesport investigation and I saw the most recent video on this, it was fine. Being that petty person my initial reaction was "heck yeah they bloody deserved that! ", but then I felt I should concur with the view that even that sort of banning is not quite right, especially if the sole reason was the SafeSport expose video which I am skeptical about, tbh — there are many other YT channels routinely posting video with controversial topics (think of news YT channels, political discussion channels, etc. ), they have been doing that for a long time and yet they are still around (most of them anyway). I lean more on the possibility that their channel got banned due to multiple reports piling over a certain period of time instead of just this one-off controversial video. tl;dr: might not be the right thing to happen to them given the circumstances but I am definitely not feeling sorry for those two poor sods. I don't think they were banned. Looks like tsl themselves took all the recent videos down. Apparently, they weren't banned. It was D*ve himself who deleted/deactivated due to the threats. 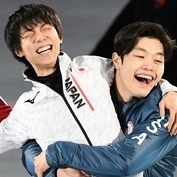 This whole Coughlin thing is so ugly does it have to be in the general Yuzu chat? Can we create a another chat instead? Will delete it! Sorry! Didn't know where to post it. I’m not saying you are wrong to bring it up, because so very important, but I just feel this chat should stay very clear of this. I’d hate to see his name be anywhere near this. Maybe a another link is appropriate?